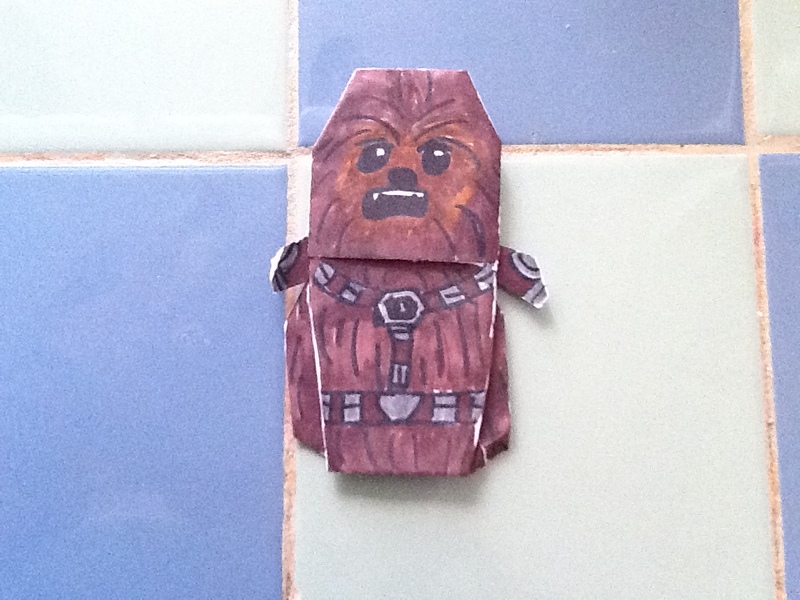 Doodle-Gami 24: Wookiee Warrior! RAAAARRRGGGHHHH!!!!! Yo yo, everyone. Yes I still exist. No, CJ, you don’t own the site now. Anyway, here is Captain Barbossa, the greatest pirate ever seen on a Disney screen. And here he is in the paper with his famous Aztec Gold. If you want, I can make Skeleton Barbossa later, but I mean LATER. Anyway, this is the end. Bye. Oh yeah, I am going to make a new website only using my Star Wars origami. I’ll post the link when everything is ready. Next time: Wookiee Warrior! RARRRARRRAGGGHHH!!! 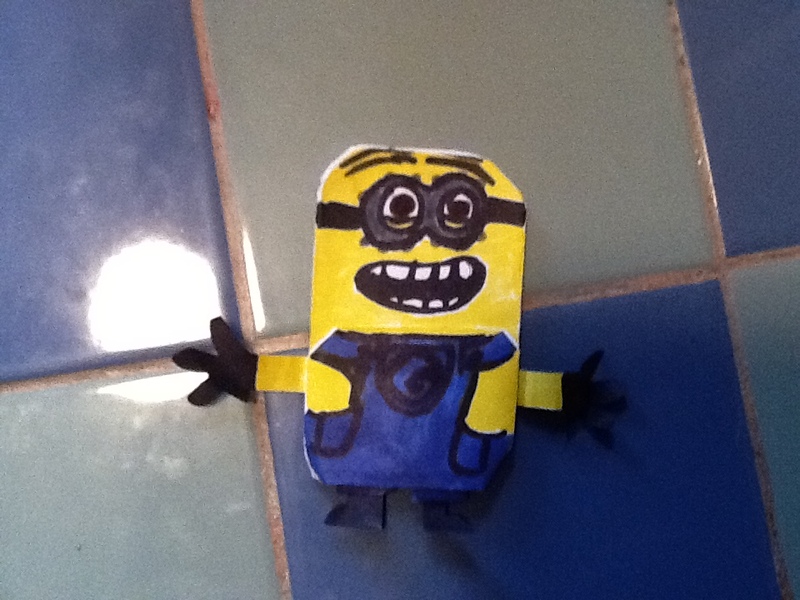 Doodle-Gami 22: Dave the Origami Minion! 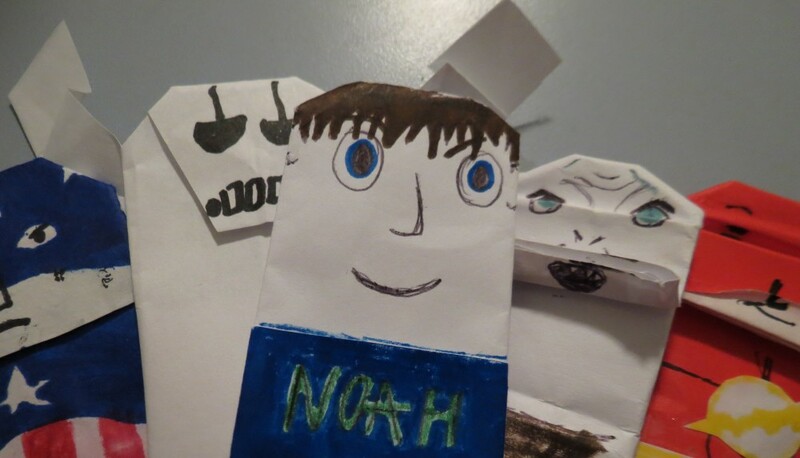 Coming out my shell, and going insane because I have to look through piles of origami to find a certain thing for the site, I have returned. This is the super excited minion Dave. I know, he doesn’t have his ever-present rocket launcher, but say-la-vi (and no, I don’t care at all that I spelled that wrong). Anyway, Dave is a detailed little sucker, so yeah. Bye! Don’t run into the chainsaw I placed by the door! Next Time: (Also the start of Pirates week) Captain Barbossa! 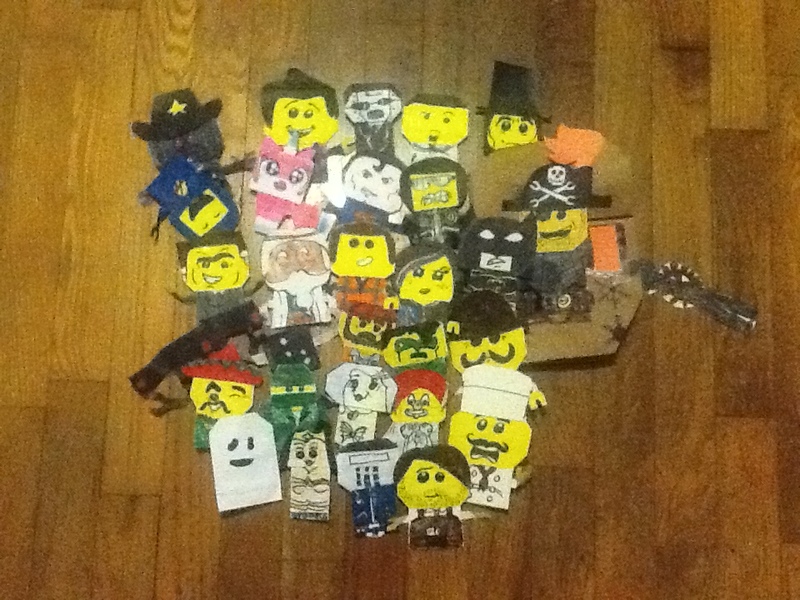 Doodle-Gami 21 (LEGO Week Finale): THE LEGO WEEK FINALE!!! So, at long last, we are done. Since this took a lot of elbow-grease, next post may be awhile, but what the heck. Good bye. Next Time: (by request from CJ) Origami Minion Dave! 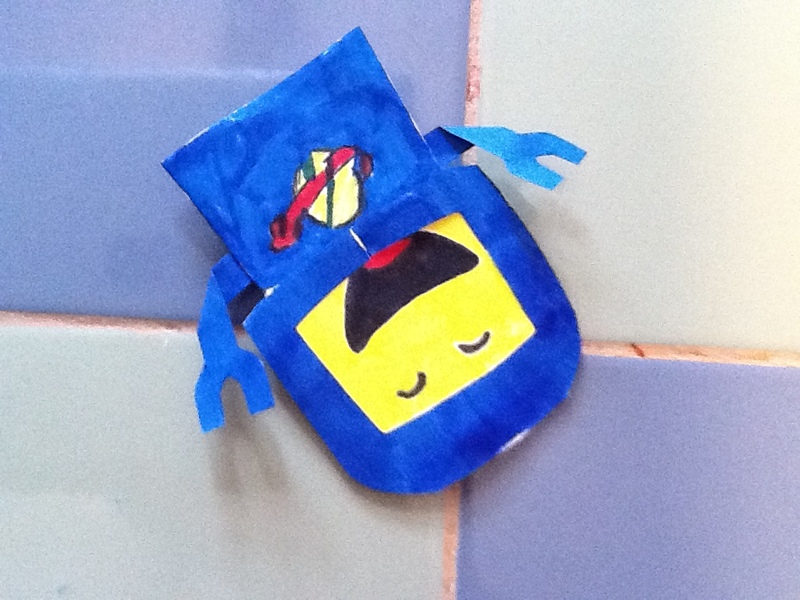 Doodle-Gami 20 (LEGO Week 3): Benny, the 1980’s Something Space Guy! Enter, Benny, the epicest character in the movie. I mean look at him! He is adorable! And notice how I used scissors to make the crack in his helmet. Eh? Eh? A forget it. Just enjoy the dumb thing. 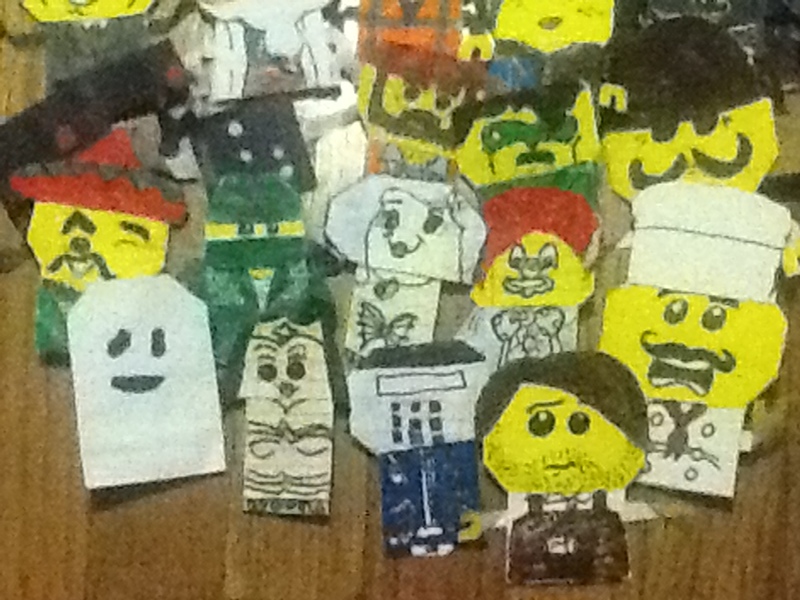 Next time: Finale of LEGO Week, the entire cast of the LEGO Movie, coming along with it’s release! 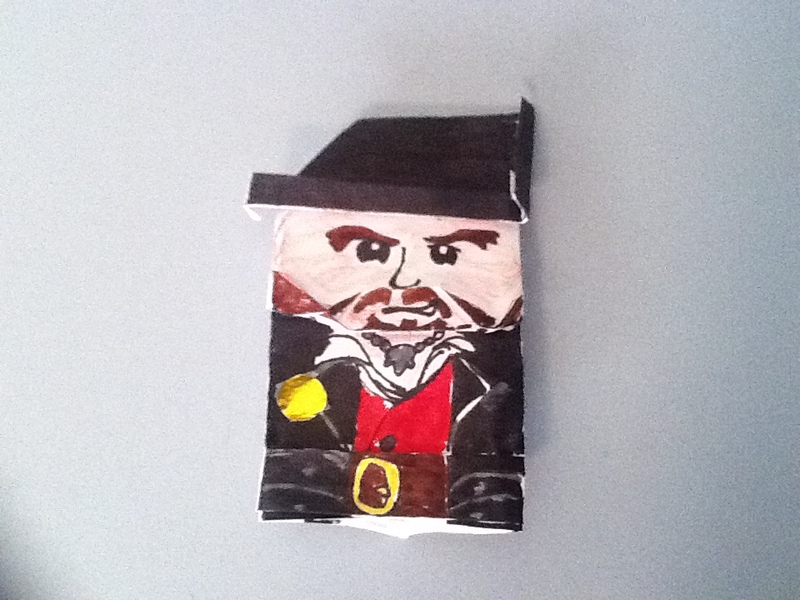 Day 2 of LEGO Week, and my NINETEENTH DOODLE-GAMI!!! WOOOOO!!! 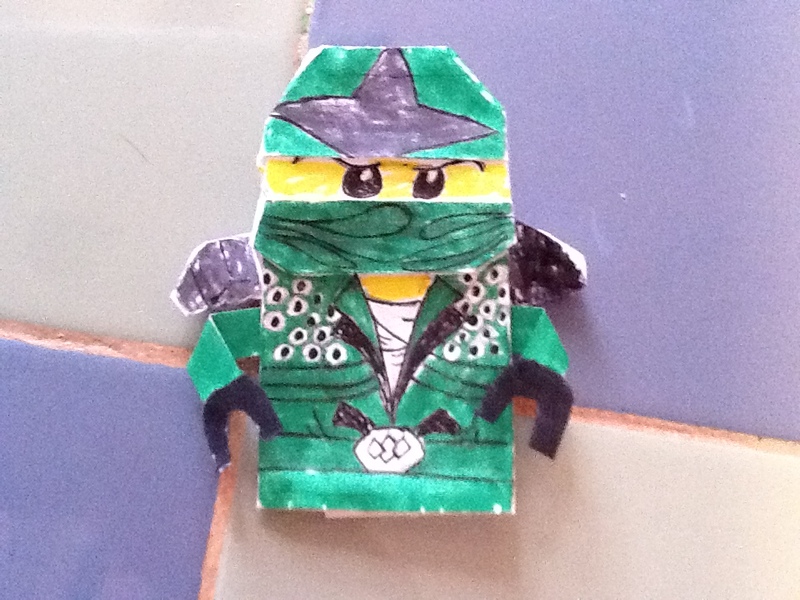 So this one is following the LEGO Week with Master Builder, the Green Ninja! 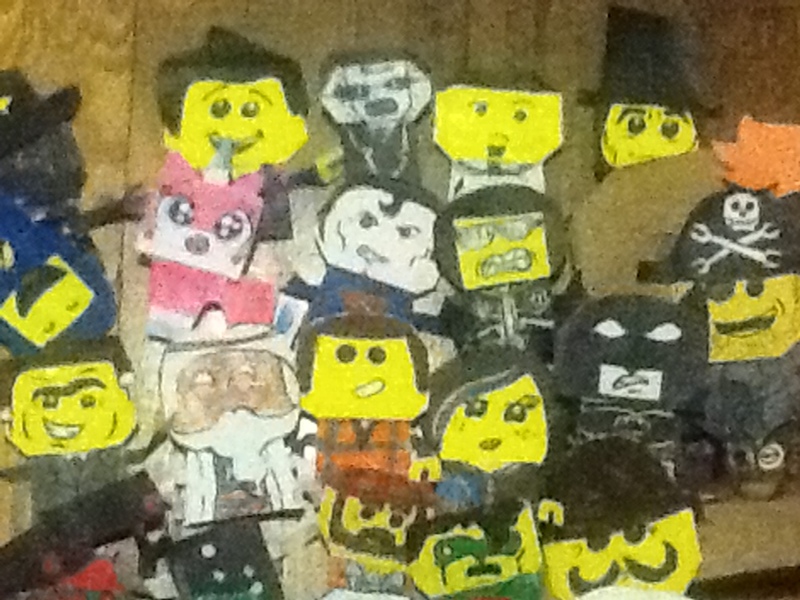 Our friend here is folded different then Emmet, and most of my other LEGO Movie guys for that matter. When the finale on Friday comes around, you’ll see what I mean. Next Time: My personal favorite LEGO Week-ian, Benny, the 1980’s Something Space Guy! Last year was a fine year for my Doodle-Gami. This year is gonna be even BETTER!!! There will be lots more stuff, including more Star Wars, Superheroes, Disney, LEGO Stuff, more Doodles, more stuff from my epic assistants, and BENNY, THE 1980’S SOMETHING SPACE-GUY!!! So look for all this stuff, and more!